Celebrating accomplishments—whether big, small or just between friends—is always more fun with flowers. 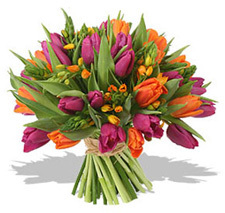 Our extensive network of Teleflora florists deliver each floral arrangement in a vase, ready to be enjoyed immediately. Same-day flower delivery available.